If there's one thing I'm good at, it's time management, so I thought I'd offer a little advice today. I've got a tip that I guarantee will open up hours of time for many of you every week. You'll have plenty of time to dedicate to the Craft if you just do this one thing. 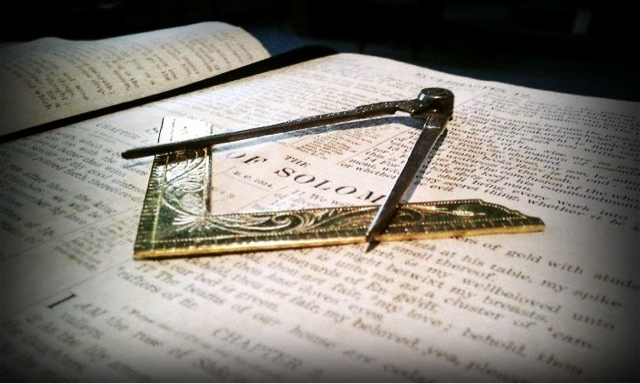 Freemasons are a very industrious group of individuals, and the most common complaint I hear is that there isn't enough time every month to do all the things we want to do. There are Lodge Meetings, events, degree work, workshops, schools, committee assignments, Past Master Diners, etc. Not to mention the York Rite, the Scottish Rite, Shriners, Allied Masonic Degrees, Widows Sons, Tall Cedars, Eastern Star, High Twelve, etc. There's no shortage of things for you to participate in, and most of us enjoy it so much we want to do it all. If you wanted to, you could be a Freemason full time--and many of our retired brethren do, and that's certainly my plan one day. My District Deputy Grand Master was just saying the other night, "I could sure use another week every month." Tomorrow is Valentine's Day. If you forget to buy a card, some flowers, a nice gift, or a romantic dinner for your beloved . . . well, you'll have all kinds of time for Freemasonry. Todd E. Creason, 33° is the founder of the Midnight Freemasons blog and continues to be a regular contributor. He is the author of several books and novels, including the Famous American Freemasons series. He is member of Homer Lodge No. 199, and a Past Master of Ogden Lodge No. 754 (IL). He is a member the Scottish Rite Valley of Danville, the York Rite Bodies of Champaign/Urbana (IL), the Ansar Shrine (IL), Eastern Illinois Council No. 356 Allied Masonic Degrees, and Charter President of the Illini High Twelve in Champaign-Urbana (IL). He is also the author of the blog From Labor To Refreshment . . .